Singapore has many areas where it is worth investing the time in simply wandering the streets. So many of the inner city districts have a distinct culture. Except for the curious, I do not recommend visiting the malls along Orchard Road (where most tourists head first). Just how many international shopping malls can a traveller take? This city/state/country has been investing heavily in various aspects of the arts and is taking a key role in Southeast Asian arts. My focus has always been on the visual arts and with Singapore I have enjoyed the growth of the visual arts sector over the last decade or more. Whenever we visit we enjoy a wealth of exhibitions and associated events and along with catching up with colleagues usually have a very busy time. Singapore is hot. It is hot every day of the year. This can slow you down and you need to develop strategies to deal with this. Part of that is easy given their wonderful Mass Transport System (MRT) and light rail that spreads out throughout the whole country. You need to get to know this, buy a pass, and use it often as besides getting you to your next destination it provides some time out from dealing with the heat. In some areas of the inner city you can also walk between key areas using a series of underground malls and underpasses. It all helps. When it comes to the visual arts there is so much on offer. 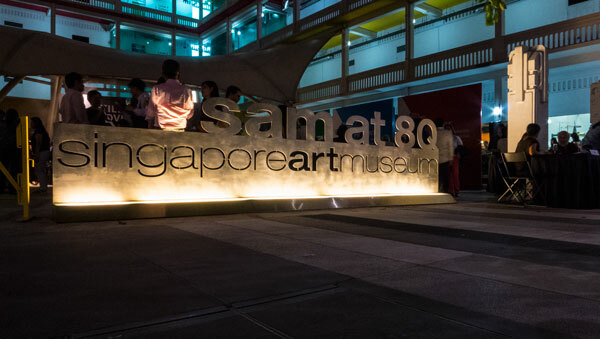 In and around our favourite part of the city there is the Singapore Art Museum (SAM) that concentrates on contemporary art. It operates from two buildings near each other (use MRT Bras Basah). Also note that there is a café next door that is a branch of the WA firm Dome–with reasonably good coffee. SAM is presently hosting the Biennale with contemporary artworks by more than 60 artists across Southeast Asia, and East and South Asia. 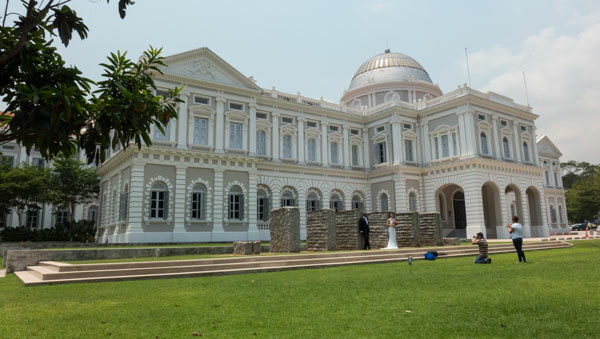 Across the road is the National Museum of Singapore that hosts all manner of historical and visual arts. And while you are in the area, check out the National Library. The building itself speaks heaps of how they value their culture and is a wonderful building to explore just for the architecture. In fact you could easily make an architecture tour of the city. There is so many good examples of contemporary architecture as well as lots of heritage sites to take it. But that’s another story for another day. Not far from SAM are other examples of the country’s commitments to the arts. Nearby and near to the MRT junction, Dhoby Ghaut, is the School of The Arts Singapore (SOTA). SOTA is a pre-tertiary arts school with a six-year integrated arts and academic curriculum that leads to the International Baccalaureate Diploma or Career-related Program for 13-18 year old students. 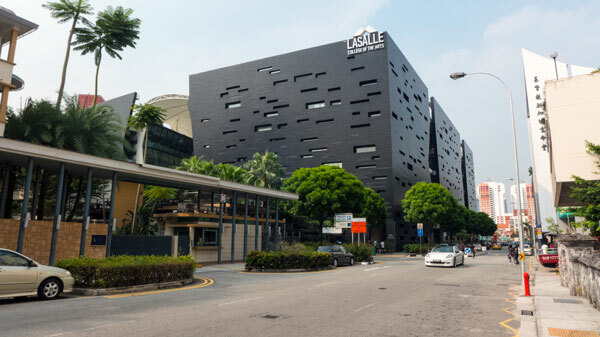 Not far from there is the architecturally wonderful Lasalle College of the Arts– worth a visit to see the building and exhibitions –and a great student café that does good coffee and snacks. 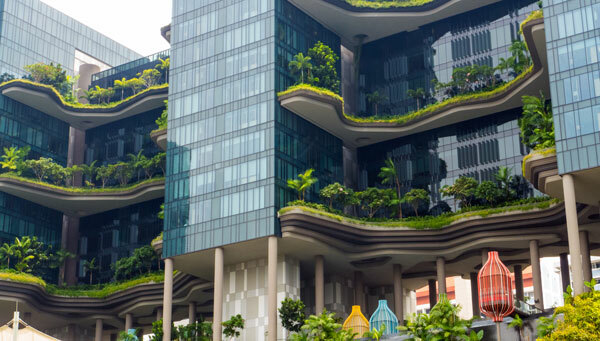 Way down the other end of Singapore is the wonderful Nanyang Academy of Fine Arts – a special MRT/bus journey is required for that. The big star these days is the brand new National Gallery Singapore (NGS). Opened last year in a massively renovated high court building, it is the stand out showcase of the city’s commitment to the visual arts across Southeast Asia. Apparently the biggest problem for the NGS is that too many visitors spend their time taking in the architecture and then dealing with the six options of where to eat, then they run out of time and overlook the exhibitions. The National Gallery is a must do destination. Nearby is another, the Asian Civilizations Museums (ACM). As you can gauge by the title, it is the place to visit to have a first understanding of the cultures of the region. Another important destination is the Peranakan Museum. Peranakan culture is Singapore. It is the Straits Chinese with the mix of other races that have come together to make up country. This museum showcases these cultural mixes. I would need much more space to explain it all here – so use this link and read about it. 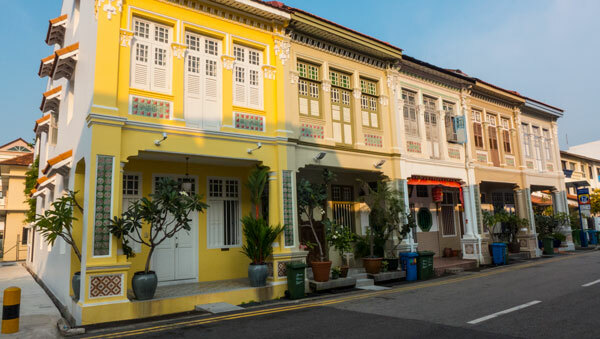 To understand the basics of Singapore, you need to first understand what Peranakan culture means. 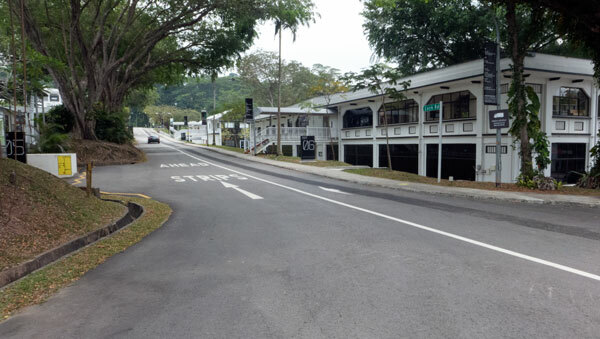 Another key visual arts site is Gillman Barracks. It is an ex military site now hosting a range of galleries. Only in Singapore! There are heaps of other galleries and venues. I have not mentioned the great urban development sites, the parks, the masses of greenery, the food and more food, the ease with which you can get around, the friendly people, and some of the good value apartments you can use (rather than hotels). 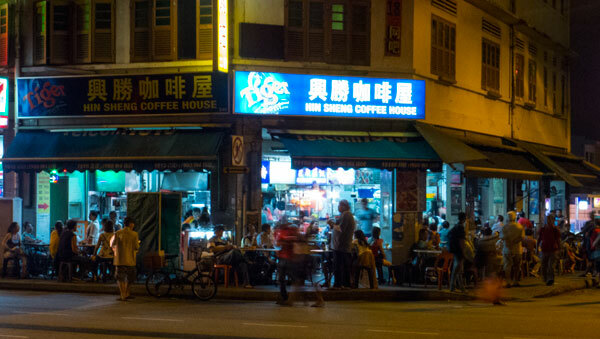 Then there are areas such as Little India and the cafe strips of Peranakan food. I have also not mentioned the numerous visual arts festivals, the special photography festival, the popular tourist sites, such as Gardens by The Bay and so much more. And yes – so much new and old architecture. There is so much to recommend about Singapore. 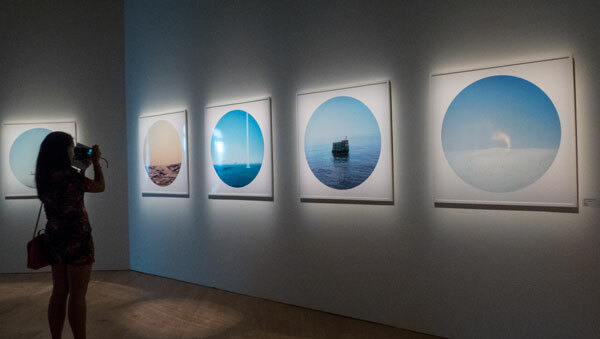 A couple of years ago I approached some bureaucrats in our Chief Minister’s and recommended they make contact with some of the visual arts people in Singapore and set up some exchange exhibitions. The opportunity exists for Canberra to be the agent for the visual arts of Australia and work up all manner of exchanges with the very active Singapore visual arts communities. Local businesses at both ends would be easily convinced to be supportive (and have many photo opportunities). Sadly those particular bureaucrats did not get it. Glazed eyes are all I saw. The idea sits out there for someone with an entrepreneurial eye to the future relationships between the cities. Meanwhile, given the direct flights, I do urge anyone with an interest in urban issues, architecture, with an eye to observing people and cultures and with a love of the visual arts, to consider time away in Singapore. And no – I do not work for their tourism board–just someone who has enjoyed regular visits and catching up with friends who live and work there. All yours to enjoy! Do your research and check when there is a lot on – which is often. And remember it is always hot.